This gripping, Oscar nominated documentary The Most Dangerous Man in America tells the inside story of Daniel Ellsberg’s famous leaking of the Pentagon Papers in 1971, his attempt to stop the Vietnam War by revealing the pattern of Presidential deceptions behind its inception and escalation. This is a thorough, important history and civics lesson about a Pentagon insider’s Road to Damascus moment along the path to anti-war activist. 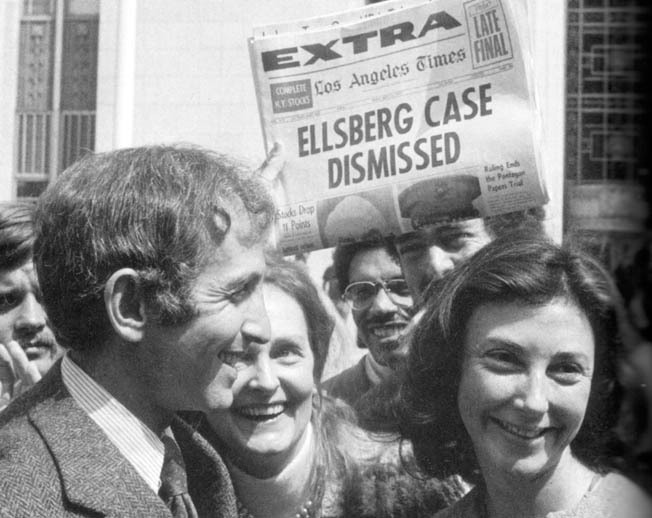 There’s more than an air of self-aggrandizement within Ellsberg’s incessant narration. But, it is exactly that chutzpah that motivated Ellsberg to once – and still – believe he alone possessed the ability to change the course of world events. Co-directors Judith Ehrlich and Rick Goldsmith essentially present a first-person, well-earned hagiography that is a must-see for, if nothing else, its incorporation of Oval Office audio recordings of an increasingly unhinged Richard Nixon and his inner circle of advisors trying to manage an unmanageable war, a dogged press, and an unrelenting whistleblower.